"Sampath Speaking" - the thoughts of an Insurer from Thiruvallikkeni: Kiliki, Dothraki and more gibberish ~ Bahubali to Game of Thrones : Conlinger !! Kiliki, Dothraki and more gibberish ~ Bahubali to Game of Thrones : Conlinger !! Nim*kle gadeetvoo*tta corota-jra reyy... fuhoo*kle. : Don’t worry ~ not bad words ! ~ roughly translate ‘drop your weapons on the field and .. run away ! !’ : ERC ? - Child’s play : heard in Bahubali movie Actor Prabhakar - the savage head of Kalakeyas utters these words and could not resist myself reading an article that they created a new language with vocabulary called ‘Kiliki’ language. Sounds gibberish ! ~ we have seen and heard people speaking seemingly unintelligible languages in so many movies. In Vikaram, it was Janagaraj’s gibberish in Salamia kingdom : bishkathoori... mishkathooriyaa; haspotomi... maspatomiaa ~ wrote lyricist Vaali for the song : Yaenjodi manjakkuruvi saanjaadu nenjath thazhuvi. In Irumbukottai Murattu Singam – occurring in the town of Jayasankarpuram, home of Tamil cowboys – the hero on a treasure hunt much like Mackennas Gold comes across Athirikesa, a tribal leader whose group speaks a new different language !! Game of Thrones is an American fantasy drama television series created by David Benioff and D. B. Weiss, as an adaptation of A Song of Ice and Fire, George R. R. Martin's series of fantasy novels, the first of which is A Game of Thrones. It was filmed in Belfast and elsewhere in the United Kingdom, Canada, Croatia, Iceland, Malta, Morocco, Spain, and the United States. The series premiered on HBO in the United States in Apr 2011, and its sixth season ended in 2016. Now the 7th season is on ! Away, the 7th Language Creation Conference (LCC7) took place July 22-23 2017 in Calgary, Alberta, Canada. The LCS has filed an amicus brief in Paramount v. Axanar, opposing Paramount’s claim to copyright in the Klingon language. Conlanging is the creation of constructed languages or conlangs, such as Esperanto, Lojban, or Klingon. A conlanger is someone who creates or constructs languages or conlangs. Conlang.org is a site for conlangers, would-be conlangers, those interested in or curious about conlangs, and anything else to do with conlanging. A planned or constructed language (sometimes called a conlang) is a language whose phonology, grammar, and vocabulary have been consciously devised for human or human-like communication, instead of having developed naturally. It is also referred to as an artificial or invented language and in some cases a fictional language. There are many possible reasons to create a constructed language. The expression planned language is sometimes used to indicate international auxiliary languages and other languages designed for actual use in human communication. Outside Esperanto culture, the term language planning means the prescriptions given to a natural language to standardize it; in this regard, even "natural languages" may be artificial in some respects, meaning some of its words can be crafted by conscious decision. As a quantitative example of the use of conlangs within a country, the Hungarian census of 2001 found 4570 speakers of Esperanto, 10 of Romanid, 2 each of Interlingua and Ido and 1 each of Idiom Neutral and Mundolinco. David J. Peterson is a language creator, or conlanger. He makes up words and grammar for characters in movies and TV series. One of his most famous is Dothraki for HBO's Game of Thrones. The Dothraki language is a constructed fictional language in George R. R. Martin's fantasy novel series A Song of Ice and Fire and its television adaptation Game of Thrones, where it is spoken by the Dothraki, nomadic inhabitants of the Dothraki Sea. The language was developed for the TV series by the linguist David J. Peterson based on the Dothraki words and phrases in Martin's novels. It is claimed that the language comprises of 3163 words, not all of which have been made public ! In 2012, 146 newborn girls in the United States were named "Khaleesi", the Dothraki term for the wife of a khal or ruler, and the title adopted in the series by Daenerys Targaryen. The Dothraki people are a culture of nomadic warriors in Essos who range across the vast grasslands of the Dothraki sea in hordes known as khalasars. The Dothraki are large people with copper-toned skin, dark almond eyes, and black hair. The ancestors of the Dothraki came from the lands beyond the Bone Mountains in the Further East, leaving behind the bones that give the Bone Mountains their name. The nomadic Dothraki do not have a tradition of settlements. To make a house a thousand years ago, they dug a hole in the ground and covered it with a woven grass roof ~ and there are centuries of history thereafter. 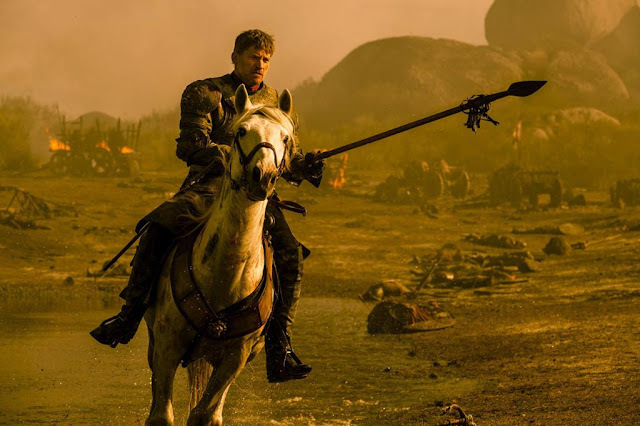 Ruined cities and regions ring the vast plains of the Dothraki sea, including the Kingdom of Sarnor, the Kingdom of the Ifequevron, the upper Skahazadhan, and the red waste. The godsway in Vaes Dothrak contains monuments the Dothraki have taken from conquered people. This is the depth of the conglinged language ‘Dothraki’ its kingdom and its nomadic people. 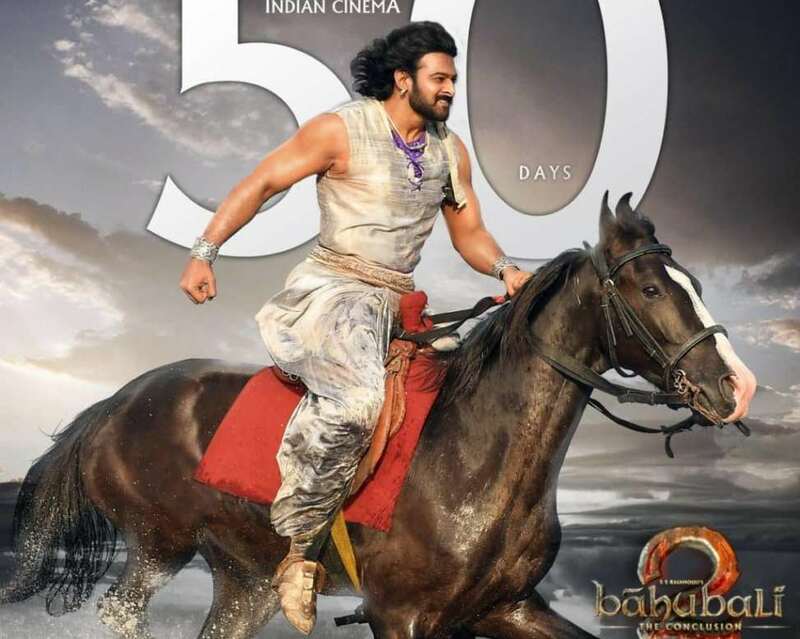 Bahubali created by SS Rajamouli starring Prabhas and Rana Dagubatti too was very impressive with its rich details of the kingdom of Mahismati, Kalakeyas, Kuntala kingdom ~ its people, culture, language and more. The two-part fantasy epic has broken box-office records all over, and is exceptionally well made.